Next-generation satellite services are set to transform data connectivity as we know it, opening up new markets and bringing the opportunities of the digital era to unconnected – and under-connected – industries and end-user populations around the world, to what would be roughly 3.7 billion people that were still offline by the end of 2018 according to the International Telecommunications Union. This connectivity shift is already underway. 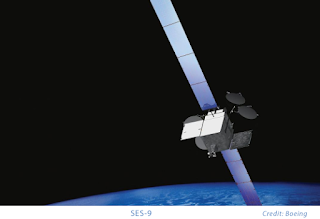 In 2018, the satellite industry continued to advance its global reach and cloud-scale data networking capabilities with the launch or plans for additional satellites across multiple orbits (GEO, MEO and LEO), new partnerships to develop application-specific antennas to serve emerging customer edge terminals, and expansion into connectivity deals with major cloud providers – to name just a few milestones. In addition, the satellite industry continues to take more of a leadership role in global network standards bodies and industry organizations – such as MEF, Telecom Infra Project (TIP) and the Linux Foundation Networking Fund, amongst others – to continue the drive to make satellite a seamless part of the global networking ecosystem. As a result of the progress that’s been made, today satellite-enabled connectivity is delivered with fiber-like, cloud-optimized performance to aviation, energy, maritime, government, telecom service providers and mobile network operators around the world. Cloud connectivity and IoT – A recent IDC report estimates worldwide technology spending on IoT will reach $1.2 trillion by 2022. Satellite-enabled cloud and edge compute connectivity will allow organizations in remote or hard-to-reach locations monitor the health of their operations using IoT. This will open up the IoT opportunity for governments and entire vertical industries in areas where connectivity has traditionally been non-existent or poor – for example, industrial IoT services on oil rigs, mining sites and energy farms, to name a few – allowing them to send large amounts of data to the cloud or the edge for real-time processing and analytics. This kind of ubiquitous low-latency satellite connectivity will also present significant opportunities for cloud providers to tap into a wide range of market segments and organizations in developing and remote geographies looking to utilize IoT. SD-WAN to fuel true multi-access connectivity – In 2018, we saw telecom service providers reap the benefits of global hybrid connectivity as they continue to seek cost-efficient ways to drive new revenue streams. This approach combines MEO and GEO satellite constellations with providers’ existing terrestrial connectivity services, allowing customers to deliver different levels of service availability and performance, based on specific application requirements – similar to application-aware routing. In 2019, we will begin to see SD-WAN capabilities emerge to ensure common services and flexible application- and performance-aware routing across this mix of multi-access services. Accelerating 5G’s Global Footprint – As 5G news heats up in the wake of CES and ahead of Mobile World Congress, the satellite industry’s investments in both space and ground assets are being recognized as valuable assets to help accelerate 5G deployments worldwide. Using satellite’s unique “superpower” of global reach, the combination of multi-orbit constellations will enable MNOs to expand their 5G footprint cost-effectively into regions that are difficult or impossible to serve via their terrestrial assets. Look for the satellite industry players to work closely with each other as well as with leading mobile network operators and industry suppliers to facilitate the integration of satellite into 5G ahead of expected broader deployments in 2020. Expect to see more technical and interoperability demos, such as the recent European Commission Horizon2020 SaT5G project. Elevating the customer experience – In the year ahead, we expect to see customers move further along on the satellite connectivity adoption curve – taking a step beyond basic connectivity to a focus on customized services that elevate their customers’ experience, and we are already seeing the beginning stages of this evolution today. For example, many commercial aviation providers, as well as international cruise line operators, have already conquered basic satellite connectivity in the sky and at sea and are now considering how to optimize their operations and services with customized applications and a premium, differentiated experience. In contrast, government agencies are looking at how to use their service to evolve enterprise tools and applications, while still other market segments are just arriving at the basic connectivity stage. As these deployments continue to mature, we will begin to see this focus on the customer experience incorporated into all stages of the satellite connectivity adoption curve. Once viewed as complex, expensive, and proprietary, the traditional role of satellite has been completely disrupted through investment, innovation and interoperability. Making satellite seamless is the primary goal of the industry’s network modernization strategy and complements our vision that integrates satellite-based connectivity services with the capabilities and advanced services of 5G networks and cloud platforms. The end result will be an automated, virtualized network service platform that allows customers and technology partners to onboard new applications and launch new, satellite-based managed services in an orchestrated, standards-based environment. And in 2019, as satellite becomes increasingly seamless combined with its inherent global reach advantages, the industry looks for it to lead the charge to attain digital equality, open new markets and enable opportunities through innovative and affordable satellite-enabled managed data services. In doing so, the satellite industry will help our customers elevate the service experience and benefit end users all over the world. Eric Watko leads product management, marketing, customer enablement and portfolio strategy for SES Networks. His experience in satellite communication networks and space-based processor technologies spans over 20 years, including with SES Networks, O3b, VT iDirect and Cisco. Zain KSA is testing a massive Multiple Input Multiple Output (MIMO) pilot in the city of Jeddah in Saudi Arabia on its TD-LTE network using 2.6 GHz spectrum. The pilot uses Nokia's 5G-ready AirScale massive MIMO antenna for 4.9G calls to improve network capacity to provide speeds of above 700 Mbps per user. 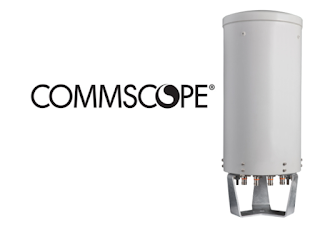 Massive MIMO uses 64-Transmit-64-Receive (64T64R), which allows gigabit-level throughput. Nokia said its 5G-ready AirScale massive MIMO antenna paves the way for the transition to 5G and coexistence with LTE on the 2.6 GHz band, delivering better network capacity, improving coverage and significantly enhancing uplink and downlink speed. Furukawa Electric Co. introduced its FITEL S185 series of Fusion Splicers specifically designed for splicing specialty optical fibers used in optical components, fiber lasers, and optical sensors. Furukawa's S185 Fusion Splicer series is a line of more compact, cost-effective, and efficient splicers for use in production and with specialized fibers including Polarization-Maintaining Fiber (PM Fiber) and Large-Diameter Fiber (LDF). Three versions of the splicer are being introduced: the S185PM, the S185HS, and the S185LDF. While the S185PM and S185HS splicers are designed for use with PM Fiber for optical components, the S185LDF splicer was developed for use with LDF in constructing and maintaining fiber lasers. Clamp Soft-Landing - reduces the chance of fiber damage (fiber clamp can be detached from the canopy). A fourth splicer in the series, the S185PMLDF, is designed for splicing PM-LDF optical fiber and is projected for launch in June 2019. Kaan Terzioğlu, CEO of Turkcell, issued the following statement defending Huawei as a reliable business partner in light of claims about national security. "It wouldn’t be right to evaluate Huawei’s current situation by ignoring the competition in the smart phone market and the conflict of which company will lead 5G. You may recall that last year another smartphone company faced unfavorable news. As you can see, whenever an ‘unexpected’ company gets ahead, they are confronted. No one should expect us to act on uncorroborated claims. Turkcell will continue to work with its long-time business partner Huawei." "Data security remains as a top priority national security issue globally. We have witnessed many failures of Western companies in securing personal data. There still are ongoing cases and investigations on this specific topic. Consequently, we are completely aware of potential risks. We have been and always will be cautious about our business partnerships. We are very well prepared in regardless of where we buy the technology whether it is from a Chinese, European or an American company. We have the necessary means to secure our networks and our customer’s data." 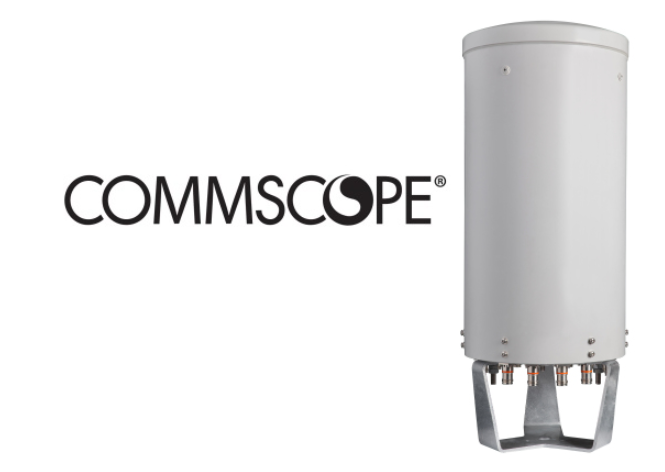 CommScope announced new 3.5 GHz-capable antennas for macro and small cell densification to help increase network capacity and migration to 5G. Enable spectral efficiencies with carrier aggregation, higher-order MIMO, interference management and beam tilt capabilities. Shaw Communications has optimized its fiber-optic network with the Fujitsu Network Communications' 1FINITY platform and Virtuora software. "Combining our technology with Shaw’s infrastructure has allowed us to enable a virtualized, programmable network with automated applications and faster service provisioning,” said Paul Fagan, Senior Vice President of Sales and Marketing at Fujitsu Network Communications, Inc. “Fujitsu’s integrated 1FINITY and Virtuora platforms allows operators to meet their customers’ needs today and well into the future, in a cost-efficient way." Databricks, a start-up based in San Francisco that was founded by the original creators of Apache Spark, raised $250 million in a Series E funding for its unified analytics solutions. The company's Unified Analytics allows organizations to do data science on massive data sets. The approach addresses data silos and the gap between data processing and machine learning platforms. Databricks said it generated in excess of $100 million in annual recurring revenue during 2018 and experienced approximately 3x year-over-year growth in subscription revenue during the last quarter of 2018. The new funding round was led by Andreessen Horowitz. Coatue Management, Microsoft, and New Enterprise Associates (NEA) also participated. The company has now raised $498.5 million to date. Its valuation now stands at $2.75 billion. Rancher Labs has added support for multi-cluster applications within Rancher, its open source Kubernetes management platform. Multi-cluster Kubernetes application support extends the feature set of Helm, the Kubernetes package manager. Users simply select the application from the Rancher Application Catalog, add target clusters, provide information about each cluster, and deploy. Multi-cluster applications use Kubernetes controllers running in the Rancher management plane to fetch Helm charts and deploy the application to each target cluster. The use of Helm charts allows Rancher to leverage features like upgrades, rollbacks, and versioning of the applications. CBRE Group, the global data center real estate firm, has acquired the assets of Romonet, which develops analytics software for data center operators. Financial terms were not disclosed. Romonet's software helps increase capacity at data centers. The company was founded in 2008 by data center technology pioneers Zahl Limbuwala and Liam Newcombe. Romonet is based in the UK and serves clients across the globe. Romonet and its team of professionals will be integrated into CBRE’s global Data Center Solutions offering. Velocimetrics, which supplies flow tracking and real-time, in-stream performance analytics, is using acceleration technology from Napatech to reduce the tick-to-trade latency of a global Tier 1 investment bank in Europe. After detailed analysis of the bank's complex trading platform, Velocimetrics' analytics identified bottlenecks and latencies which, once corrected, resulted in a reduction in tick-to-trade latency from 100μs (microseconds) to 10μs. The project used the Napatech SmartNIC FPGA-based solution as a key component in the Velocimetrics suite of products. Paul Spencer, COO of Velocimetrics, commented: "In trading, every bit of latency makes a huge difference to the bottom line, and slashing it by a factor of 10 is enormously significant and, of course, profitable for the client. Napatech and Velocimetrics have a long and successful partnership, and the joint solution uses an innovative combination of technology; the success experienced by the client with this deployment provides further evidence of the financial value provided." Jarrod Siket, CMO of Napatech, said: "To meet today's business requirements and address increasing competition and changes in the equities trading marketplace, financial services companies need full, independent visibility of their network and systems, as well as internal and external network applications, to make the right business decisions. This requires advanced monitoring and analytics that can deliver results in near-real time to keep pace with the speed of equities trading." MACOM reported quarterly evenue of $150.7 million for the period ending December 28, 2018, an increase of 15.1% compared to $130.9 million in the same period a year earlier. Gross margin was 50.8%, compared to 46.6% in the previous year. Net loss from continuing operations was $23.4 million, or $0.44 loss per diluted share, compared to net loss of $17.0 million, or $0.49 loss per diluted share, in the previous year. “Revenue for the fiscal first quarter was $151 million dollars, roughly flat sequentially. Adjusted gross margin was 56% and adjusted earnings per share was $0.20. 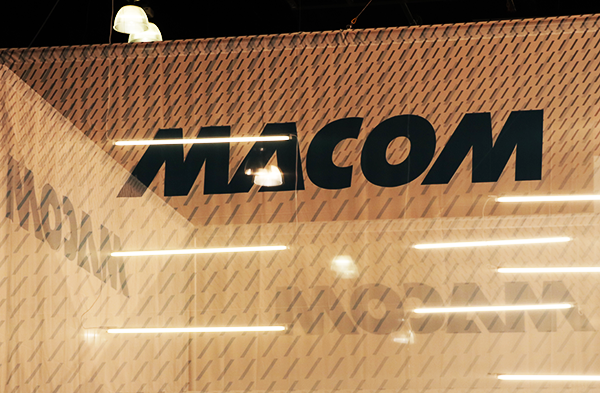 All in all, a solid quarterly performance in the face of a challenging macro environment,” commented John Croteau, President and CEO of MACOM.